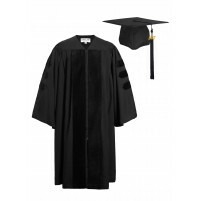 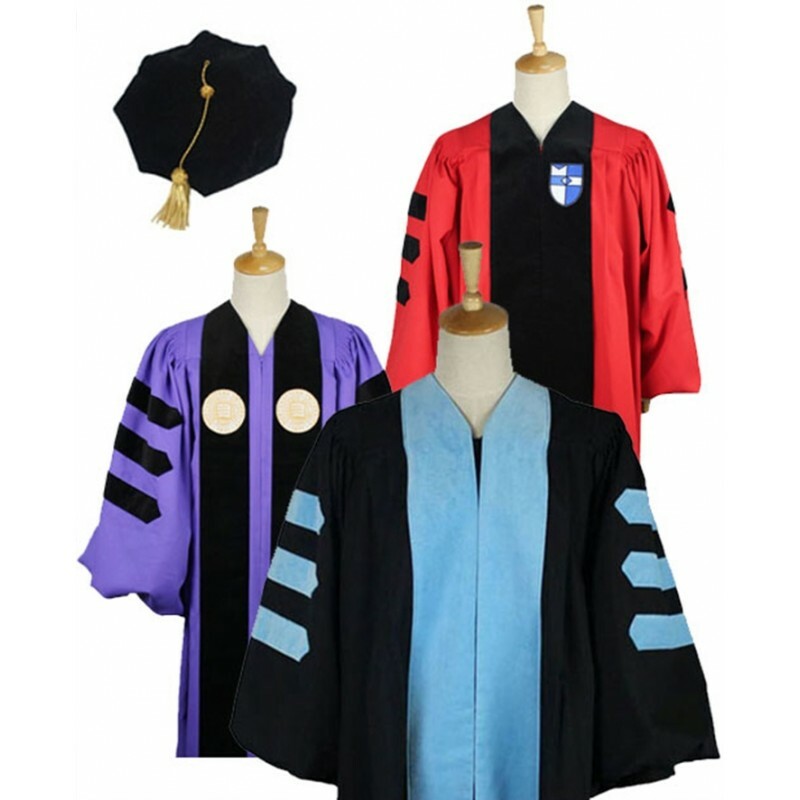 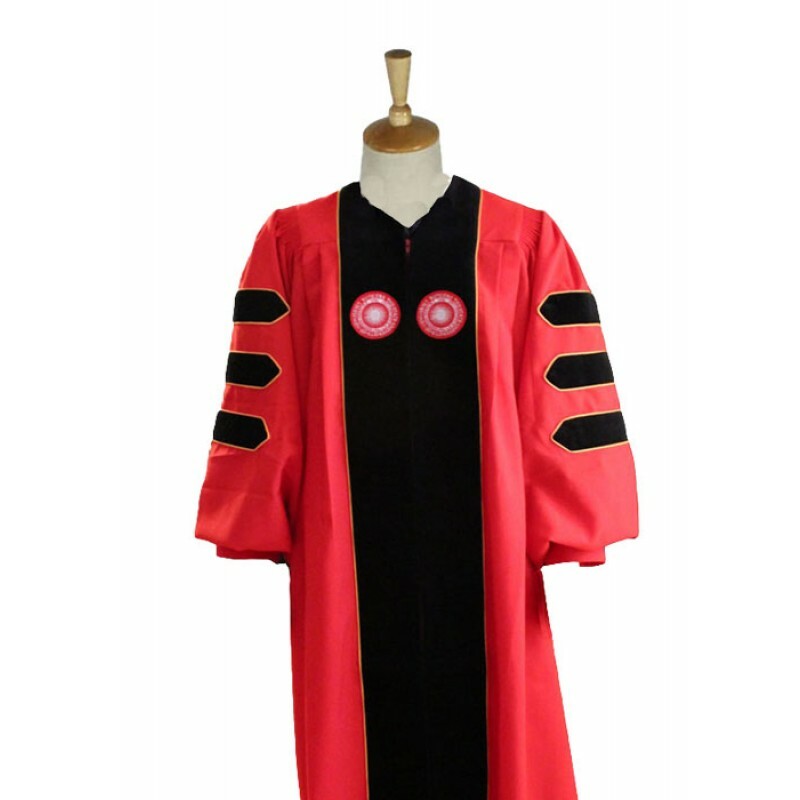 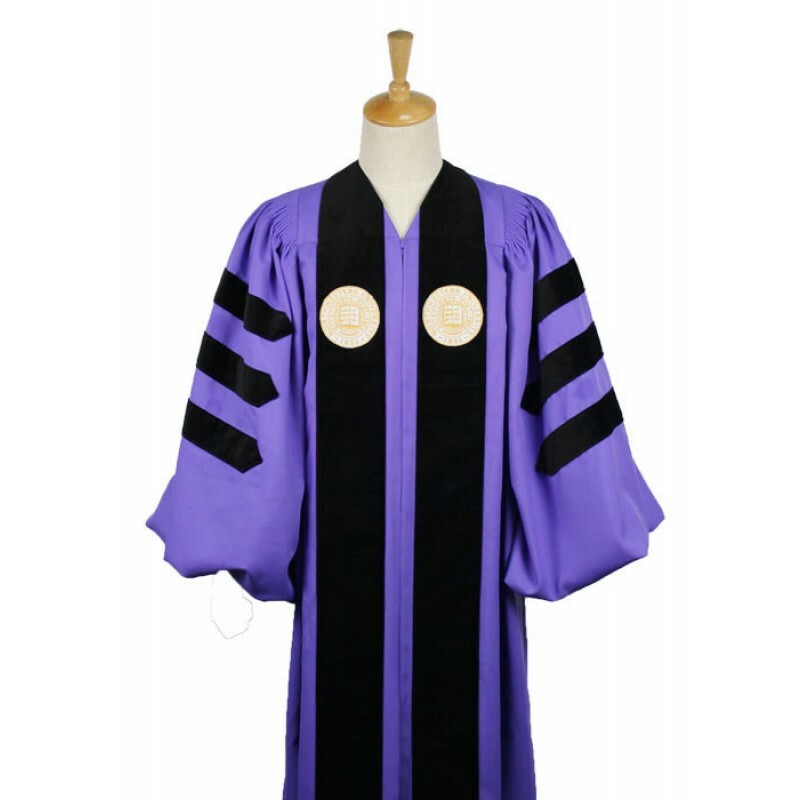 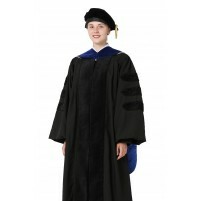 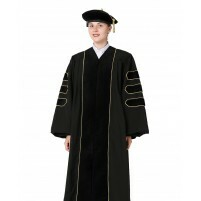 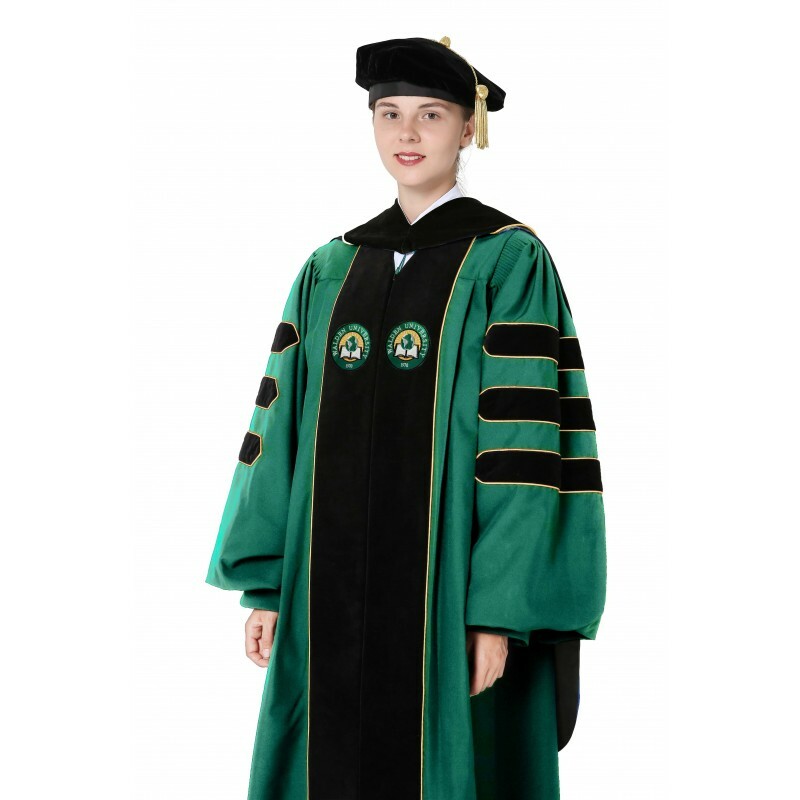 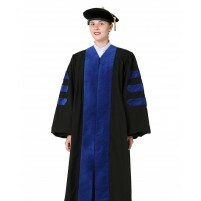 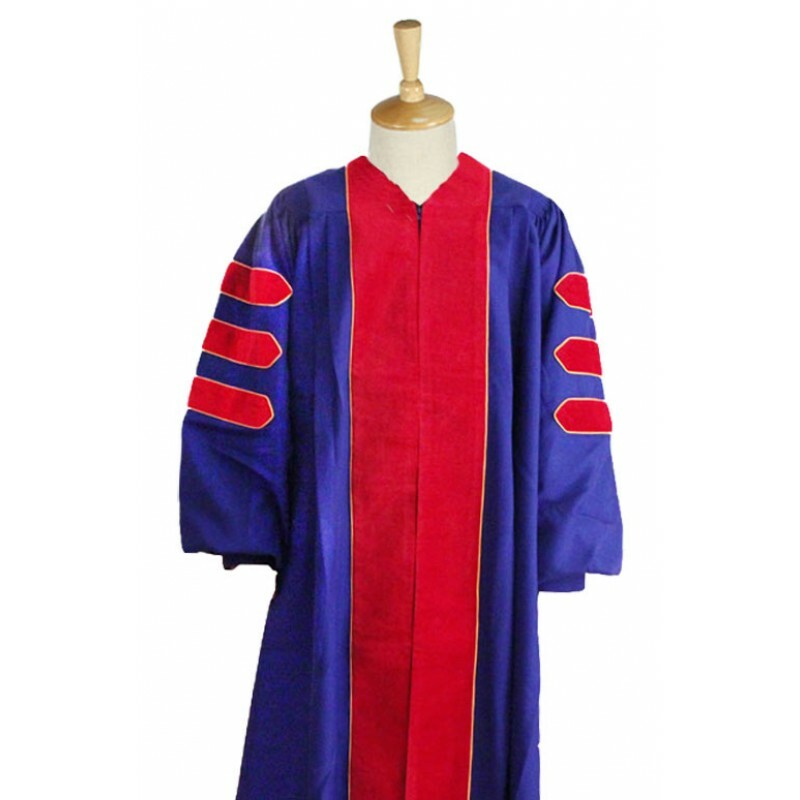 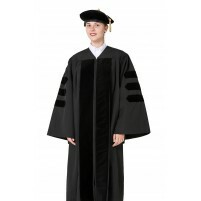 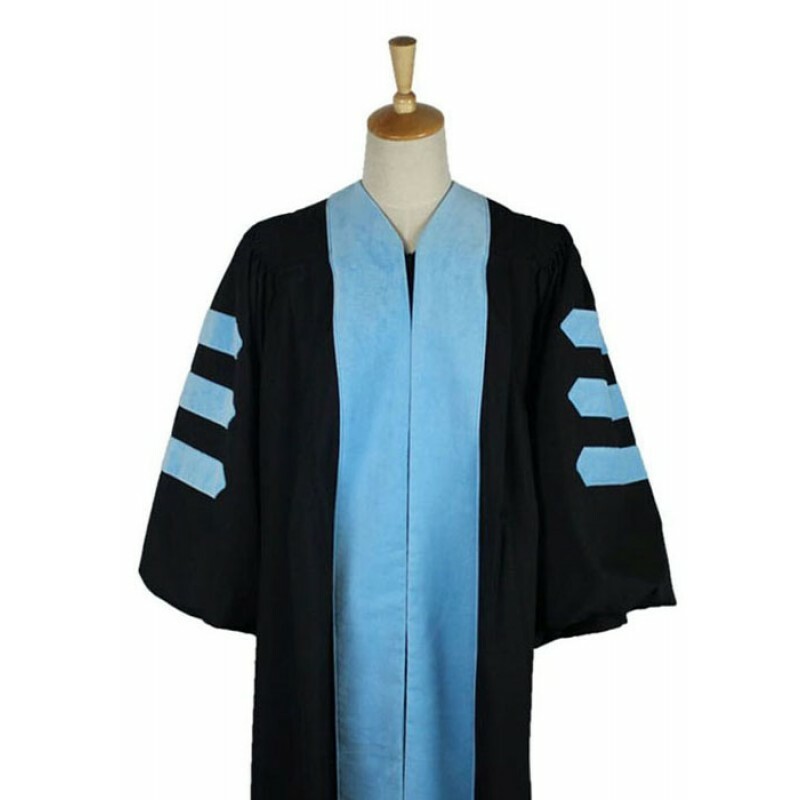 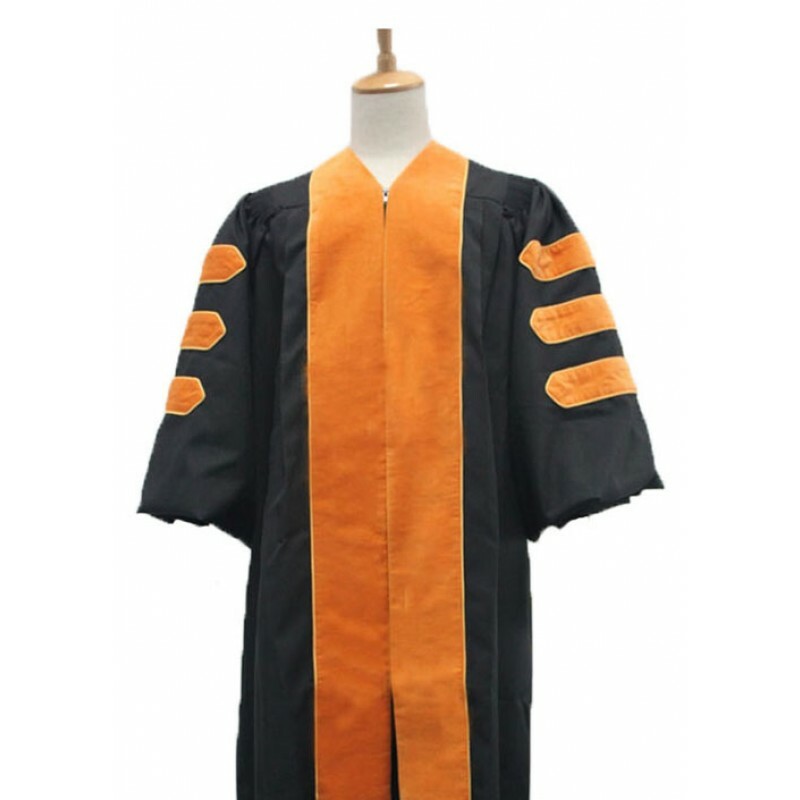 Doctoral Hood are not included.For doctotal hood,please click here. 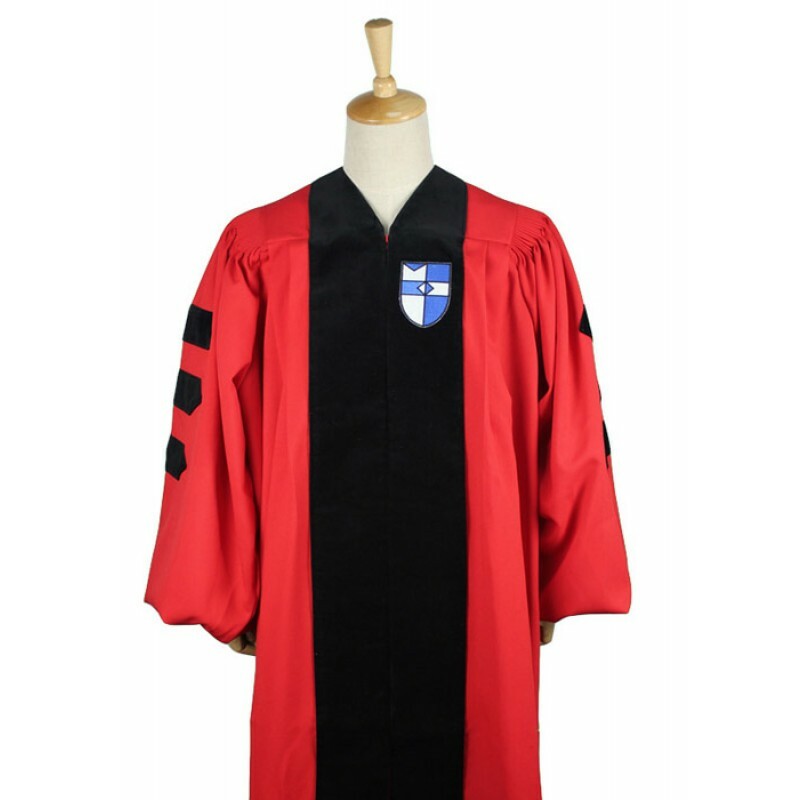 -Made of 100% high qulaity Plain Woven Polyester. 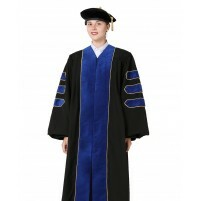 -Features full fluting back, bell sleeve with cuffs, full length velvet pleats. 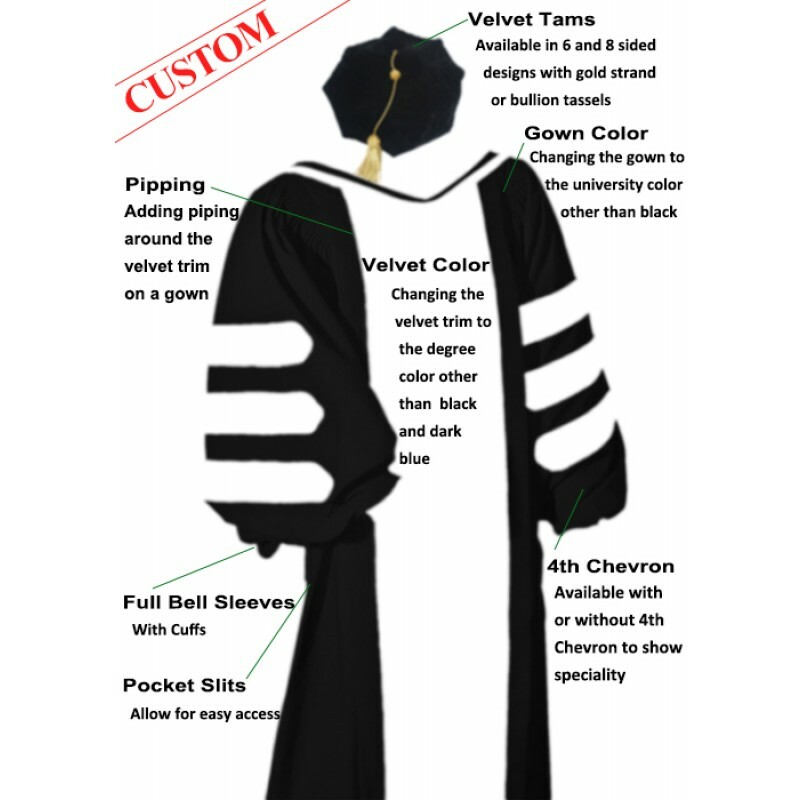 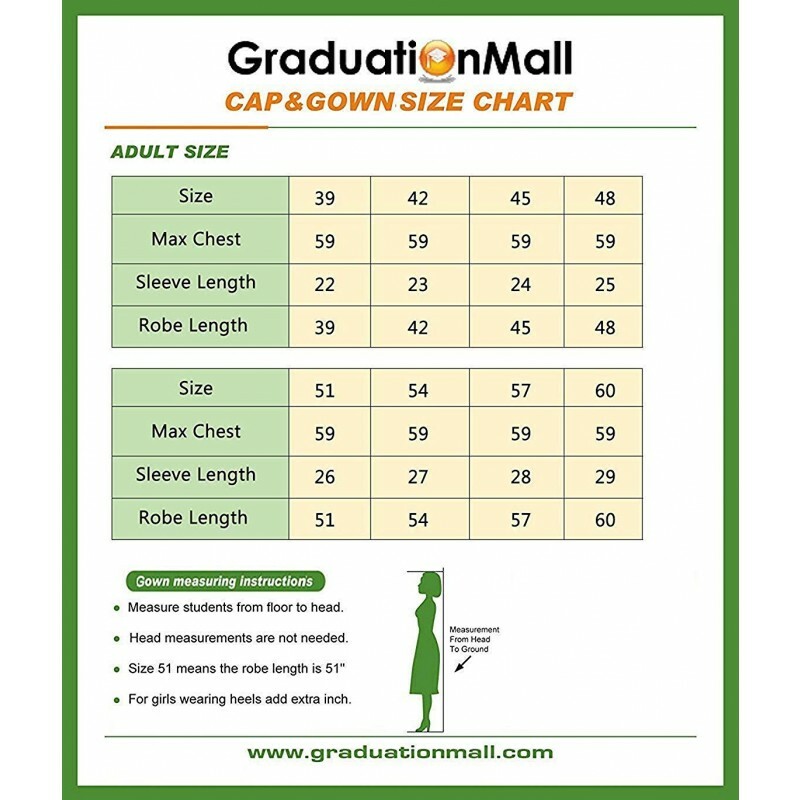 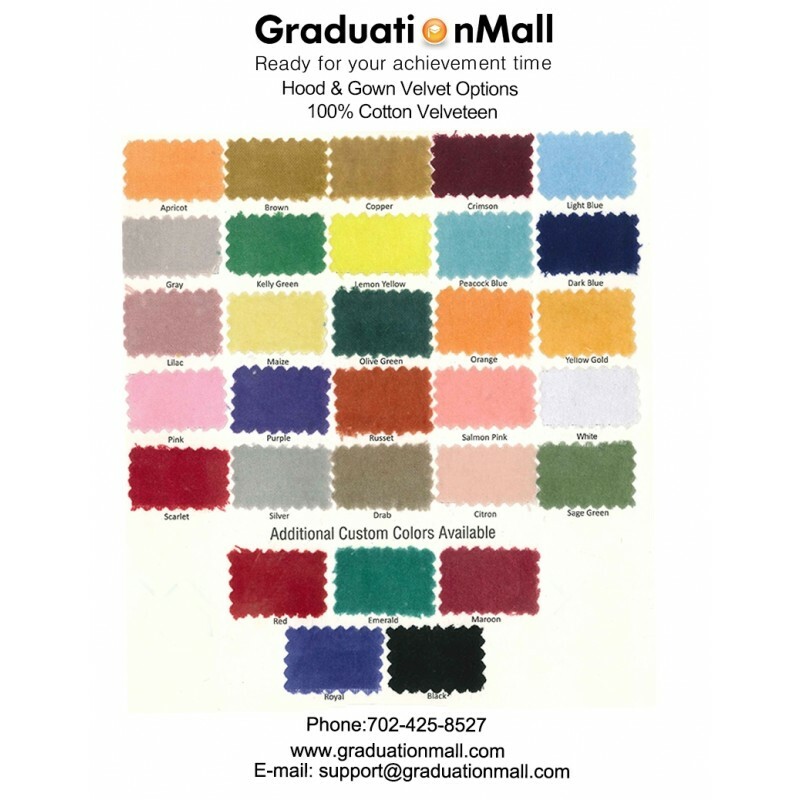 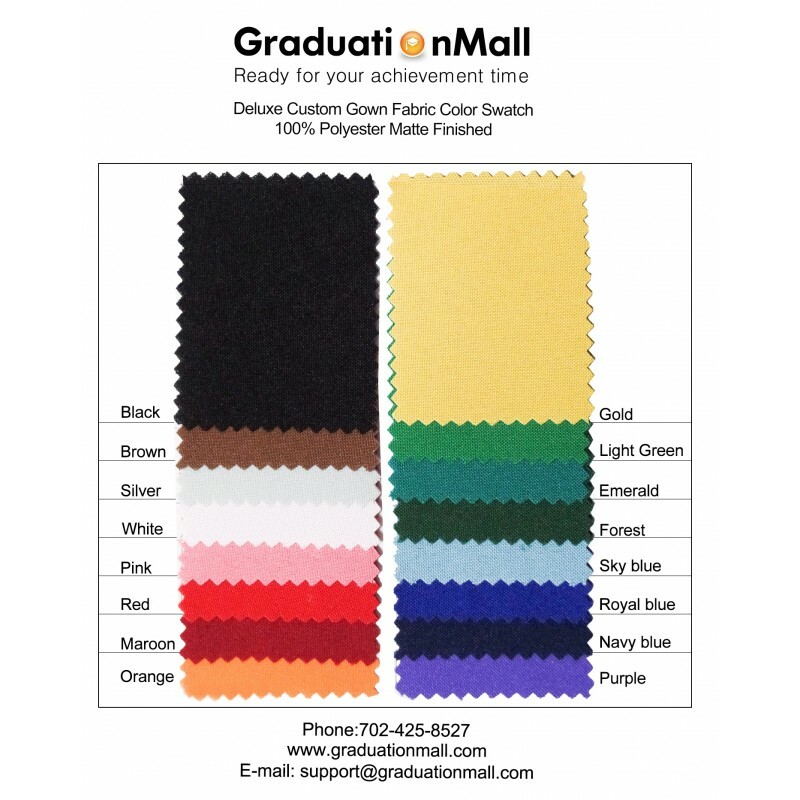 -Colors of gown and velvet can be customized. 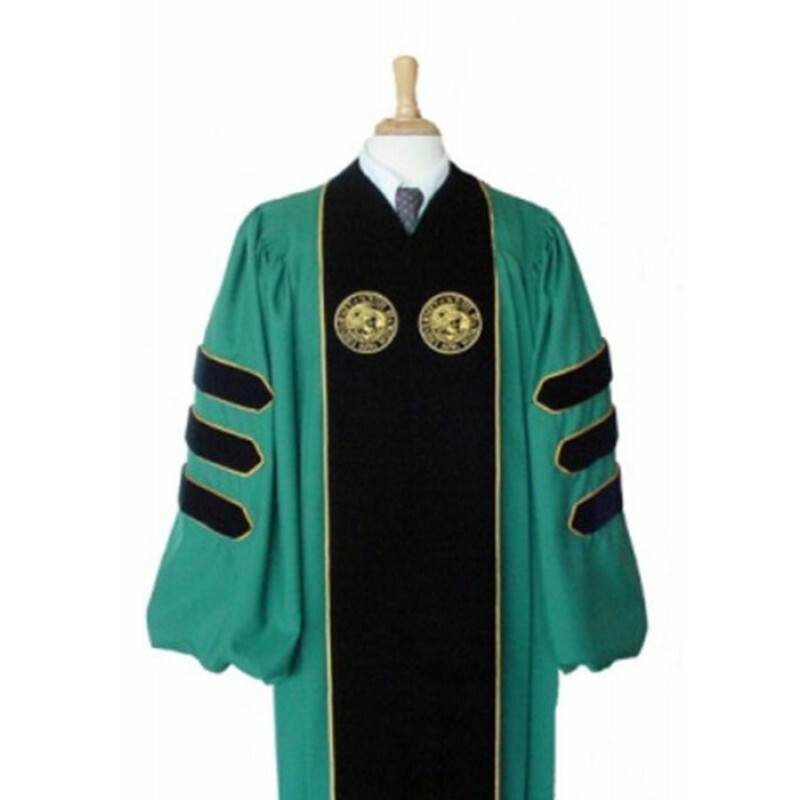 -Gold piping and embroidery emblem are also available. 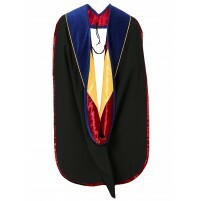 -The custom regalia and hood needs 4 weeks for lead time excluding shipping.